Berber and Twill Camp Blanket - 45x56"
CLOSEOUTS. 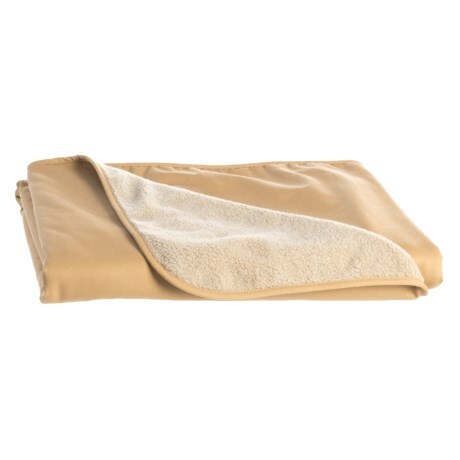 Keep the comfy with this Tough Duck twill blanket, done in a rugged, easy-to-clean cotton twill shell with a soft and plush berber lining. Available Colors: TAN. Sizes: O/S.